iSophie: Scouts help make a McHappy Day. 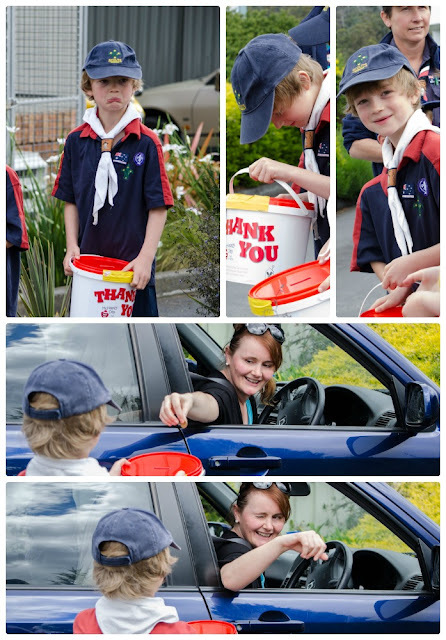 Scouts help make a McHappy Day. 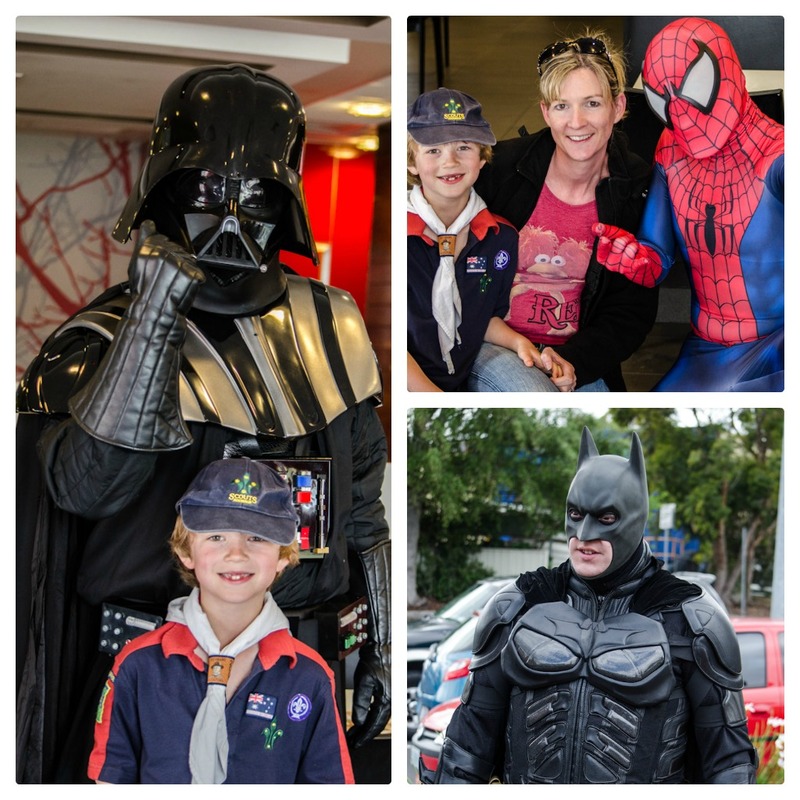 Legoman is a Cub Scout, and on Saturday the 10th of November he participated in raising money for the Ronald McDonald House at our nearest McDonalds. 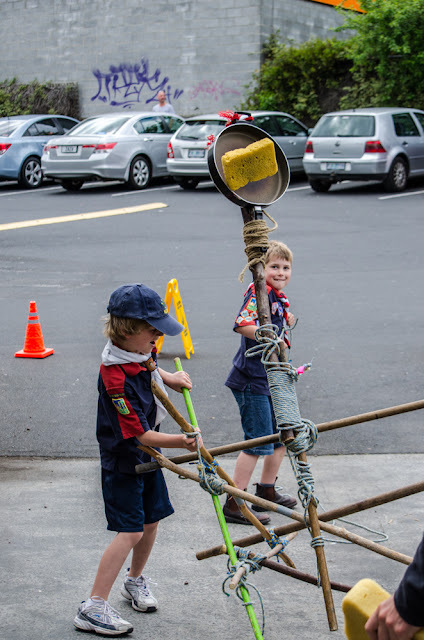 They took turns rattling their buckets at the drive thru area, and during their downtime the scout leaders were demonstrated how you can build a catapult. Apparently the key feature in this is an old fry pan, which coincidentally was then going to be sold at the market the following day if I was interested... Hmm, tempting, but no thanks. Other then that, you need -alot- of rope, some precisely measured branches (again, quite convenient, thank you tree), and a bit of know-how on knot tying. In theory I suppose the idea was solid, and you just never know when you will need to quickly fashion a catapult from your camping supplies whilst you are trekking through the woods. Watch out any wayward unsuspecting wildlife! Oh wait, no need to worry, the catapult wasn't that successful. It turns out it is quite difficult to launch a sponge (not even wet!) 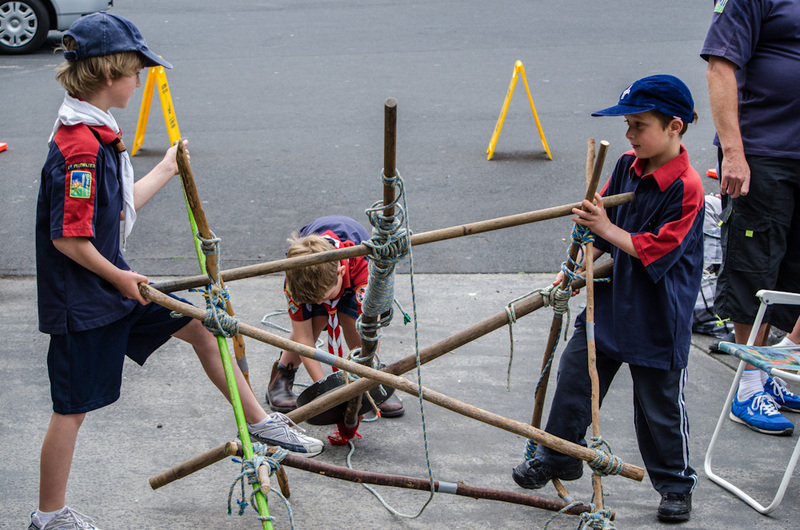 into the air with a misshapen wobbling home built catapult. The kids did have fun with it, except for when it almost knocked Legoman out. Yes, that is just -how- great it was built! You know that moment when you realise you probably shouldn't have spoken within earshot of your child? Well I had one of those too. I may have voiced my opinion on the catapult to another parent, I may have used the word 'FAIL', and Legoman may have heard it. Argh, ok he DID hear it and unfortunately, not versed in the art of tact yet, proceeded to then repeat my words back to me in question format, seemingly at the top of his lungs. 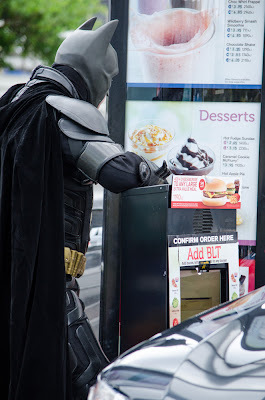 As part of the celebrations, McDonalds had brought in the big guns. Who doesn't like a superhero? Actually, forget that, I know they are not everyone's cup of tea. One of my nieces used to be (she claims she is ok now at 12! ), petrified of any and every 'Character'. Especially Santa! After the Darth photo, Legoman asked me why I wanted a photo of him with Darth? 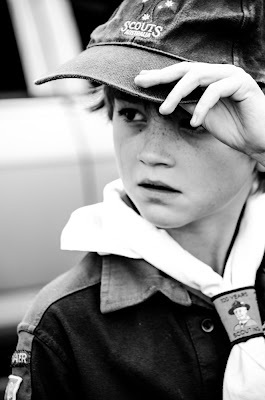 Oh, sorry, I just thought most 8 year old boys would have been hanging out for the chance! "What do you mean you don't want pickles!" 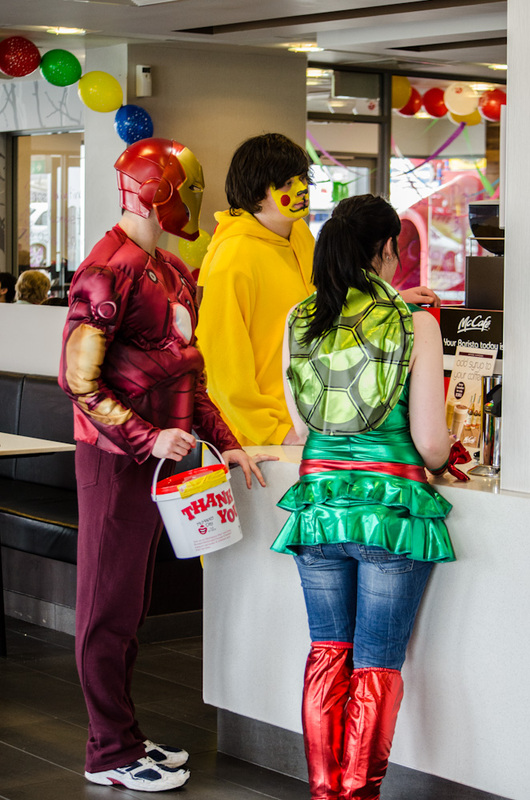 Sooo... not all the costumes were top quality. I really felt sorry for poor Iron Man in his trakkie daks and runners. He certainly wasn't drawing a crowd like Darth and SpiderMan. And Pikachu was very forlorn indeed, he must have lost his last battle. This is an action shot of the sponge about to fly 100metres through the air! Wrong. This is an action shot of the catapult falling down as the frypan is about to (nearly) scone Legoman on the head. But yep, totally get that next sponge ready, we may just need it for the compression bandage. 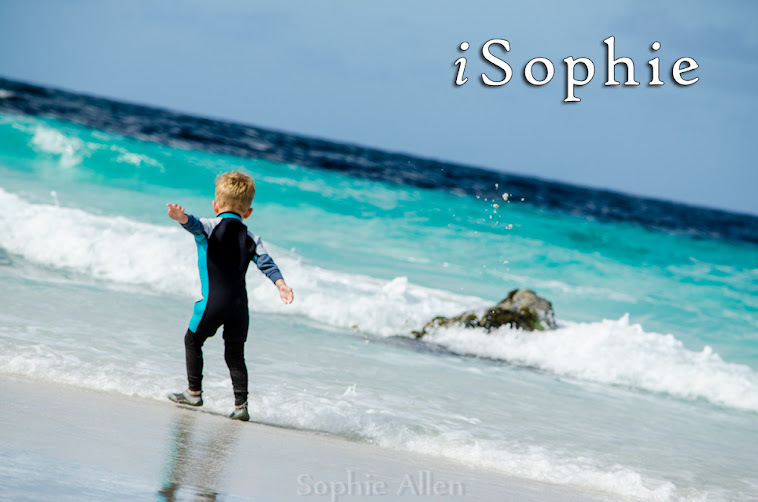 If you have enjoyed reading and/or my photos, please head over and like my Facebook page. And follow along at Twitter. I'm linking up to IBoT today, which stands for "I Blog on Tuesdays". Jess, at her new site, Essentially Jess hosts this link up every Tuesday. Head on over and link up your Tuesday post, just don't forget to read over the etiquette for the link up. Visit other blogs, comment, and basically just play nice and nobody gets hurt.